Ahead of their San Diego Comic-Con panels that kick-off tomorrow afternoon, The CW has released their annual “Heroes & Villains” trailer that recaps their superhero shows but also offers a tease of what’s to come, namely: Batwoman. Check it out in the player below! It was previously confirmed that the hero would make her debut during the annual crossover event between the shows, as the characters from Supergirl, Arrow, The Flash, and DC’s Legends of Tomorrow make their way to Gotham City. Now though The CW has revealed they’re developing a spin-off series for the character as well. Caroline Dries (Smallville, The Vampire Diaries) is writing the potential pilot based on the DC character. Greg Berlanti will once again produce. Batwoman was first introduced in Detective Comics in 1956 and was reimagined for DC Comics’ New 52 as a Jewish lesbian, the first lesbian superhero for a title DC character. Kane is a wealthy heiress who becomes inspired by Batman and chooses to also put her wealth and resources towards a campaign to fight crime as a masked vigilante in her home of Gotham City. Arrow and The Flash have both teased that Gotham City did exist in the Arrow-verse, such as when Amell’s Oliver Queen name-dropped Bruce Wayne during this season of Arrow. Berlanti Productions will produce in association with Warner Bros. Television, with Dries — who will likely consult on behalf of the character during the crossover event — executive producing along with Berlanti, Sarah Schechter, and DC’s Geoff Johns. Casting will begin soon to fill the role of Batwoman. 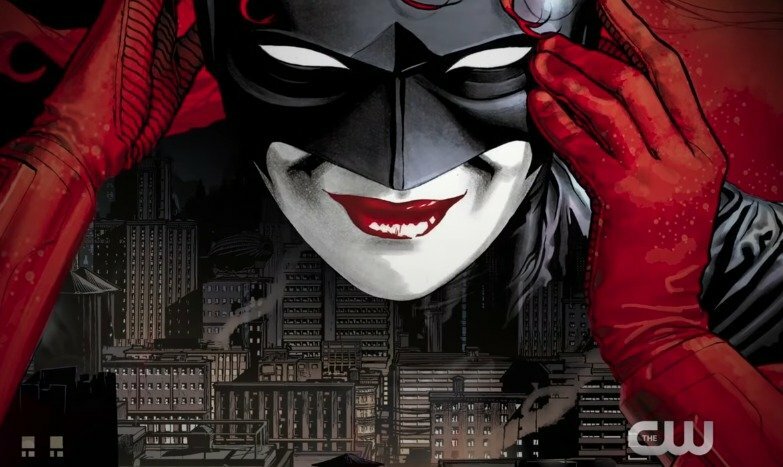 The post Comic-Con: Batwoman Teased in The CW’s New Heroes & Villains Trailer appeared first on ComingSoon.net.